Today that means two pieces of code you need in place right this bloody moment. 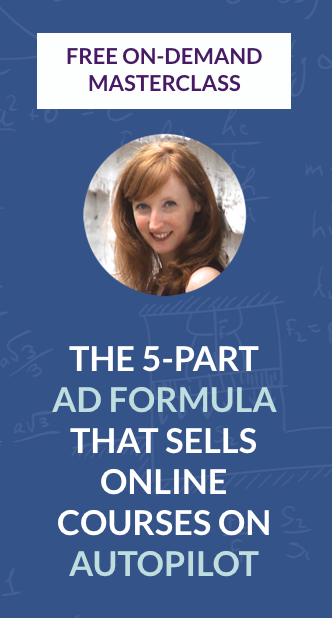 If you don’t have this foundation in place, you’ll invariably lose money on your Facebook ads. 1. Your remarketing pixel (also known as WCA pixel, retargeting pixel, ads-that-stalk-you pixel, etc.). It’s actually really simple to create and place this pixel – click here for instructions: Create and Place Your Facebook Remarketing Pixel. Don’t put this on your to-do list; DO IT RIGHT NOW. You can curse at me all you want, but you’ll thank me with chocolates and flowers later when you realize you’ve already got a whole slew of people you can retarget with your ads. This pixel is the one thing that will allow you to show ads to very specific groups of people. For example, you might show everyone who saw your sales page an ad that directs them to a blog post that addresses objections to your product or service. (More on that strategy here.) But you can’t do that if you accidentally put this pixel on one specific page instead of your entire site. It’s a common mistake; check out the video below to make sure you haven’t done that yourself. 2. Your conversion tracking pixels. OK, technically you don’t need to have your conversion tracking pixel in place if you’re not running ads. This is the bit of code you put on your “thank you” page that sends Facebook info about who lands there. If I came to your site from a Facebook ad and eventually landed on your thank you page, Facebook knows to count me as a conversion. This helps you identify which of your ads works the best in actually getting people to sign up and/or buy, not just which one has the prettiest photo or the most click-bait-y copy. If you’ve got a site on WordPress or you’re using Leadpages for your opt-in landing page, you’re all good. The conversion tracking set-up is easy as pie. Here comes the smackdown. If you’re using something that doesn’t allow you to set your own thank you page for your opt-in, or doesn’t let you add code to the backend of that thank you page, YOU NEED A NEW WEBSITE. This one is simple: if Facebook can’t track your conversions, it can’t optimize your campaigns for more conversions. When you choose Website Conversions as your objective, Facebook’ll show your ads to people who are most likely to take the action you’ve set in your pixel (sign up for something or buy something, for example). So you need to show Facebook that people are converting by putting this pixel in the right place! Common mistakes are to put the conversion tracking pixel on your landing page, but viewing your landing page is not a conversion, you see? Same with putting it on the page people see after they confirm their email. I know that seems like it would make sense, but trust me when I say that every time I’ve done it, Facebook underreports conversions. You don’t want that, do you? Which page should I put my conversion tracking pixel on? 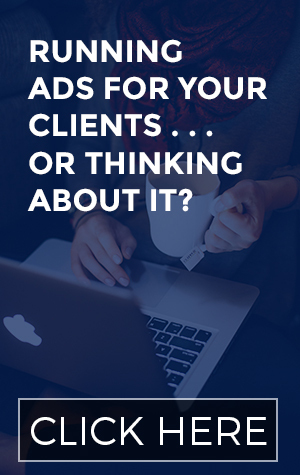 I put my retargeting pixel on my sales page and on my thank you page – is that right? How do I know if my pixel is placed correctly? Is it cool if I have more than one pixel on one page? Where do I find my retargeting pixel again? One of the great things about having a Facebook group connected to a digital product is that you get crystal clear on what people are still struggling with. I got these questions pretty often, but my initial reaction was to direct people to specific chapters inside Absolute FB Ads for them to review the instructions. Guess what? Some people were still confused! Turns out not everything can be perfectly explained in a PDF. And that realization prompted me to act fast. Still got questions? Leave ‘em in the comments!